I'm so excited to finally introduce our newest series! So many times, the reason many professionals come into the wedding industry is because they want to help leave a beautiful mark on their couples' special days, whether that's through makeup, planning, or entertainment. And most always, that inner desire eventually manifests in their creative workspaces. 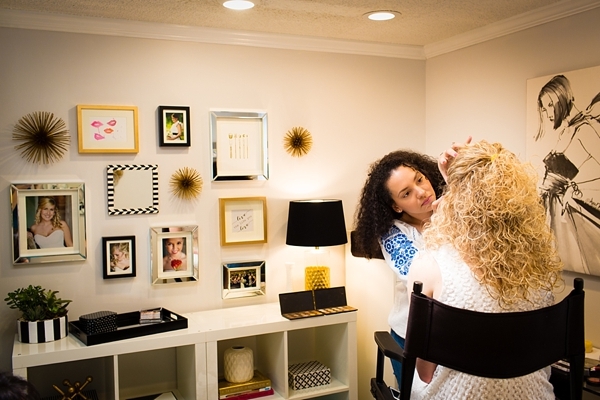 Today, we have makeup artist and vendor fam Dhalia Edwards and her chic and modern makeup studio in Virginia Beach. 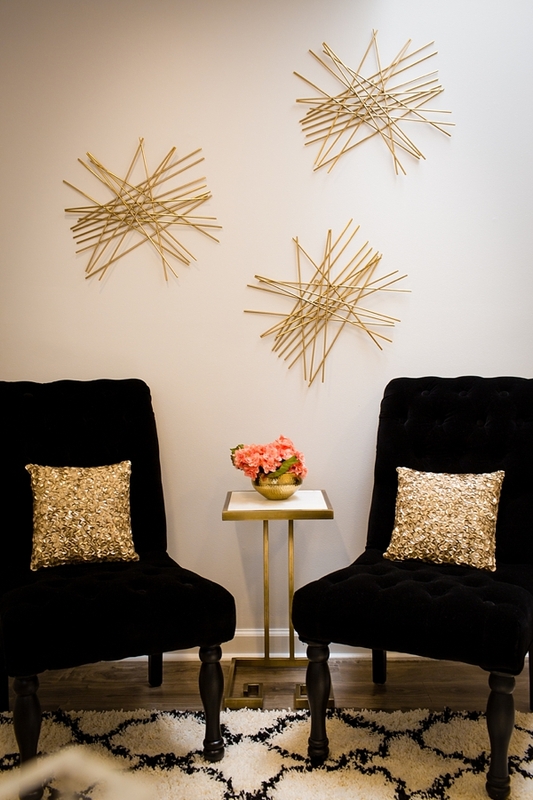 Through black, white, and gold accents, you'll swoon at what she has going on! 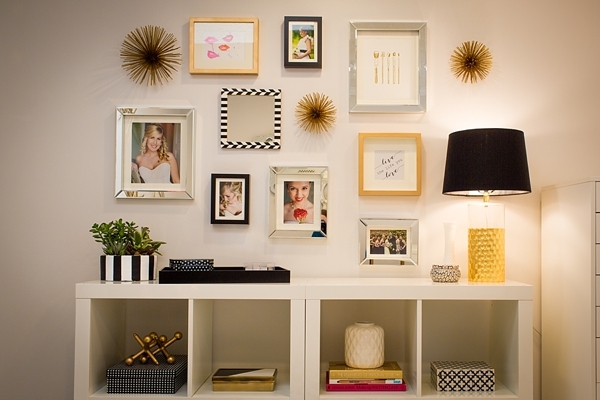 The adorable office of Jessie, founder of the online boutique of pretty party supplies, Shop Sweet Lulu. 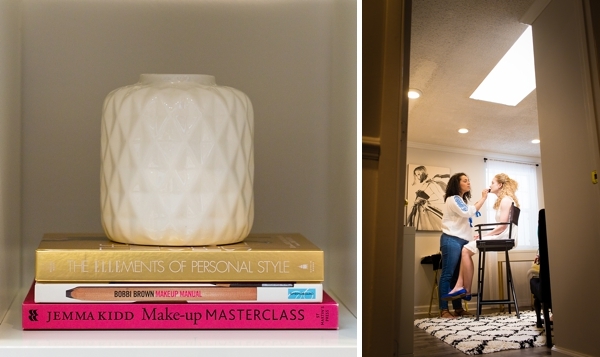 Coming into my studio and leaving, I want my clients to feel: Happy, Beautiful, and Fierce. Although I love the entire space, I would have to say my makeup drawer system. lol ... Yes, out of all things. I'm so glad to have a permanent home for all my beauty products. Do you have any interesting or fun locally-based details in your workspace? Actually yes! When I told the news to my family about making the decision to get a studio, my Dad called me up and asked if there was anything I wanted him to make for my space. He's a custom welder and works in metal fabrication, so I asked him to make me a pair of large jacks that I could spray paint gold. :) LOVE them! 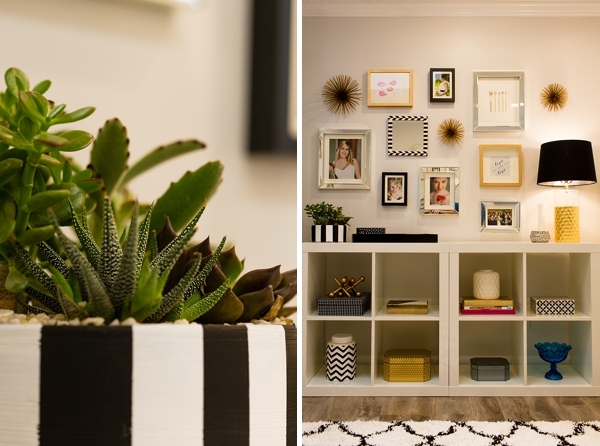 The idea for the studio décor and bringing my Pinterest inspiration photo to life wouldn't have been possible without the help of my sister, Andrieka Myers. She's a graphic designer at Dominion Enterprises and has a an eye for detail and overall look when it comes to interior design. My first purchase for the space was the large canvas from Barrett Street Antique Mall in Virginia Beach. It reminded me of a fierce bride or bridesmaid, so I bought it, and we worked around that while keeping it basic, clean, simple, and modern. You can get to know Dhalia through her pins on Pinterest and great makeup shares on Facebook.